If you are a proud owner of the iPhone XR, the chances are that you might be dealing with whopping issues by now; whether it is related to the connectivity, or the performance of the device. 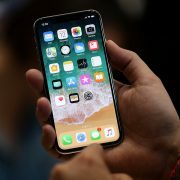 Even though the company is working upon a new version of iOS 12, no one is sure whether the fixes are going to arrive soon. As an owner of this device, you can always deal with the problems on your own and try the quick fixes. Fortunately, most of the common iPhone XR issues on this device can be corrected without an update. This guide can take you through a series of fixes so that you can better understand how to deal with them. If the iPhone XR fails to register your face when you try to scan it in a room, make sure that the room is properly lit. Perhaps, you can try to bring the device closer or at the level of your face to solve the issue quickly. However, the problem can be a little more difficult than usual and a quick fix might not cure them. Here is what you can do with the Face ID issues. Often the users face trouble with the Face ID after the completion of the setup. If you are one of those victims and find it difficult to unlock the device through the Face ID, you must look on the screen actively. For the Face ID to work properly, you must give the device proper attention. The Face ID learns to recognize your face when you register and acclimatizes with that, so it can fail to work properly if you change your appearance constantly. If the solutions fail to cure the Face ID issue, you can get in touch with the Apple support center, as there might be issues with the hardware of the device. Several users are facing problems while connecting the iPhone XR to other Bluetooth devices and if you are one of them, here is what you can do to resolve the issues. You can visit the Settings of the device at first and then the Bluetooth. Finally, you can try to reconnect your Bluetooth device to see if it works. If you still fail to connect the device with the other Bluetooth devices, you can try the following. Go to the Settings menu and General, to tap on Reset. Tap on Reset Network Settings which might not allow the device to connect to the Wi-Fi networks, so you must have the password ready to log in to the network again. Finally, try to reconnect the device with Wi-Fi to check if the problems still exist. You can also try to reset the device to the factory faults, for which you have to follow these steps. 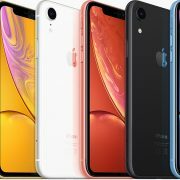 In most occasions, you may want the iPhone XR to go on functioning normally by pressing the Side or Home button. Even though the phone wakes up to a fine start when you press these buttons, this device functions as a small-sized computer and you must know that even the best of the computers may slow down sometimes. 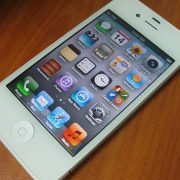 You may not want to turn off the iPhone for a long time or restart and reset it. However, there are steps you need to follow to check the speed of the device. Press and hold the on and off button in the right side or at the top for a few seconds. Swipe the slider to the right to turn the power off on the device. Click and release the Volume Up and Volume Down button quickly. Press the Side button again to restart the device. Understanding the combination of buttons to be used for handling the emergency situations on the device is essential. However, it also implies that you may need to move to another complicated set of buttons to reboot the device. Here is how you can reboot the iPhone XR. You have to continue holding down the Side button even after the appearance of the Shut Down window on the screen. Press the Volume Up and Volume Down button and let go. Press and hold the Side button until the appearance of the Apple logo on the screen. When you follow the above-mentioned steps correctly, the device must reboot itself. Once the power returns, you may want to try again. Due to the problems you may face while restoring the iCloud, the device may create a local backup on the computer and restore the backup to the new iPhone XR. If by chance you cannot back up the data of the device properly, you can look for help on the Apple store. The company has also released a troubleshooting guide in case you face issues during iCloud restoration and you can check them as well to find the appropriate solutions. If you want to upgrade to the latest version of the OS or facing other issues with the new device, the best you can do is to reset the settings of the phone. Here is a list of resetting techniques you can follow. Whether you have spoiled the Settings app or you have preferences to go back to the factory defaults, resetting the iPhone is far too easy. Tap on General and Reset at the bottom of the device. Tap Reset All Settings. You may have to enter the passcode to complete the process. If there is something wrong with the Wi-Fi or if the LTE towers are not working properly, the network preferences on the device may have gone seriously wrong. If you are looking forward to enjoying the network with a fresh start, you have to follow the steps as recommended. Tap on the Reset Network Settings with the passcode if needed. If the auto-correct of the device shows a language you cannot understand, it is time to dump the dictionary cache. Tap on the Reset Keyboard Dictionary, although you may have to re-enter the passcode if needed. 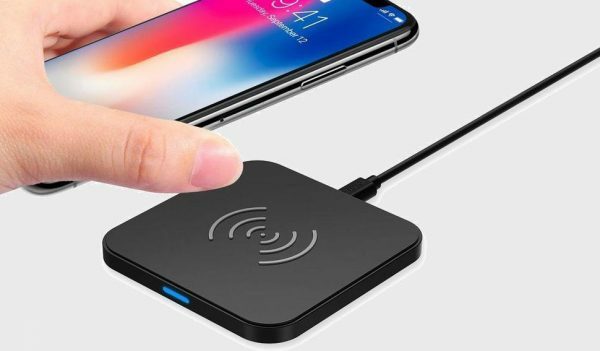 Many users are facing trouble with the Wi-Fi connection of the device and the rest are facing trouble with slow speed. 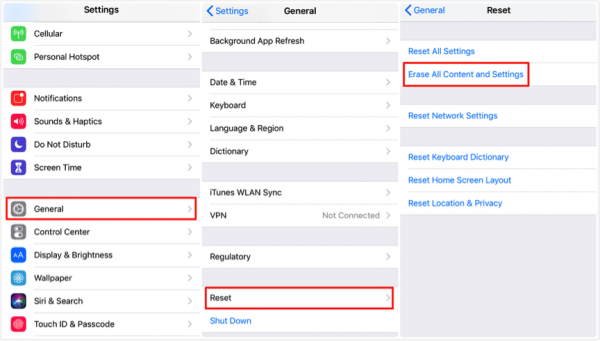 If the iPhone XR cannot connect to the Wi-Fi or the speed is extremely slow, make sure you try the following steps to restore the problem. 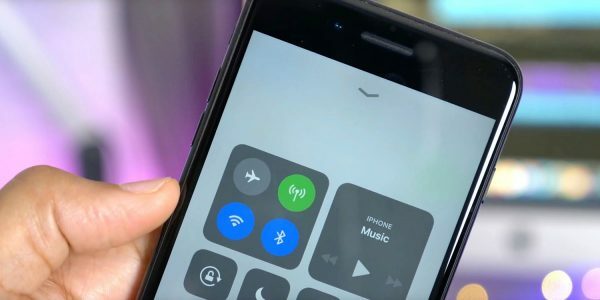 Running the latest version of iOS 12 is necessary and if it fails to correct the problem, you can toggle the Wi-Fi on and off to see if it resolves the issue. If the above step does nothing to check the issue of Wi-Fi, you must check the router of the ISP or the Internet Service Provider for an outage. Checking the outages through the customer support lines or the social media pages of the ISP might help you to detect the issue. Once you confirm that there is no issue of outage in your area, you can try to unplug the router for a minute. Finally, tap on Forget this network located at the top of the screen. You can choose to reset the network settings of the device when you experience slow speed on the Wi-Fi connection. You can also try to reset the settings of the device to the factory default and use the same screen to tap on Reset All Settings. There are times when you might come across the “No Service” symbol on the iPhone XR and try to restart the phone. If it does not work, you can check the service provider for outages via the social media and the customer service line. After determining that there is no outage in your locality, you can turn on the Airplane Mode for a few seconds and turn it off. Check the cellular data again to see if it works properly. However, there are other fixes you may consider to restore the problem. Go to Settings and tap Cellular. Tap on the Cellular data. When wireless charging on the device fails to work properly, you must remove the case if you are using any, and charge the phone again. While using a third-party accessory to charge the device, be sure that it is certified by the company. 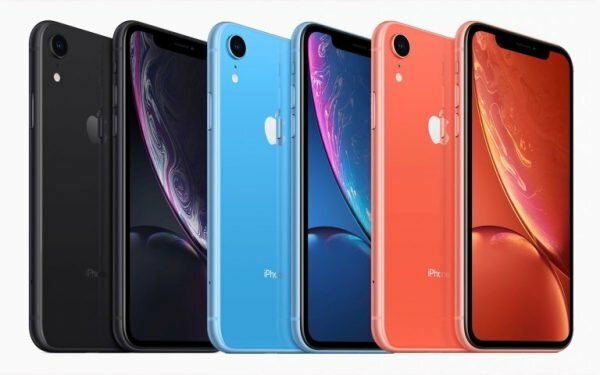 When the sound of the iPhone XR starts to crackle or is unclear, you can follow the steps below before taking the device to the service center of the company. You can try to restart the device and perform a hard reset if the restart does not work. If the sound is still not clear, you can turn the Bluetooth on and off. Try to look for debris or dirt blocking the Lighting port or speaker grille. If there is a drop in the quality of the call, you can restart the device or check the receiver to ensure that it is not obstructed with dirt on the screen protector. You can also try to remove the case or switch the LTE from Voice and Data to Data only and check if it cures the problem. Restarting the device is an option if the microphone stops working or cuts out suddenly. 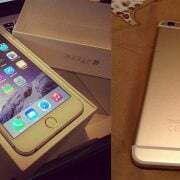 If you cannot restore the device, you may get in touch with Apple as the issue might be related to the hardware of the device. Although these quick fixes can help you to resolve the issues in the iPhone XR, you might not get the desired result and the best alternative to deal with these issues is to take the device to the nearest service center of the company.